For a morning, afternoon or full summer day of treasure hunting, look no further than several neighborhood pockets throughout Spokane and in Coeur d'Alene. Experienced local thrifters are surely familiar with these hot spots, but even if you've been before — even recently — keep in mind that vendors and shop owners are always restocking their inventory with fabulous new finds. After all, the best part about these outings is not knowing what you'll stumble across. 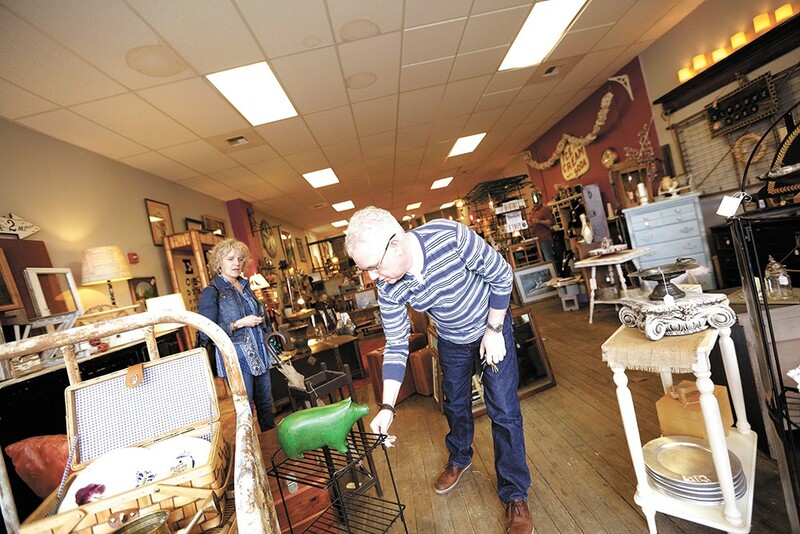 In recent years, one of the best local spots to thrift, antique and hunt for unexpected finds has become Spokane's North Monroe Business District. OK, so now where to shop? All the shops in this neighborhood are worth your while — we suggest starting at one end and working your way down. A great first stop is Boulevard Mercantile, located inside a prominent, historic brick building at 1905 N. Monroe. Boulevard is home to numerous local vendors of vintage, antique and repurposed salvaged home goods on its main floor and in the building's basement. Vintage clothing galore, from cut-off Levis and funky graphic tees to jackets, shoes and Western-style button ups can also be found in a corner of the basement from vendor Vagabond Soundtrack. Continue working your way north and stop at the following shops along the way. Blossom's Antiques & Gifts (2415 N. Monroe) is in a quaint, lilac purple-painted building. Two blocks down from here is Tossed & Found (2607 N. Monroe), one of the larger stores in the district, and packed with goodies from all eras and styles; get a sneak peak of what's in stock on the shop's Facebook. Across the street in the old Hedge House restaurant building is Ross's Memories on Monroe (2606 N. Monroe), which frequently boasts in-store sales on sidewalk boards. Keep moving another two blocks north to another local favorite, 1889 Salvage Co. (2824 N. Monroe). Owner Gina Campbell is also constantly posting social media updates on the store's latest inventory if you have specific pieces in mind, or want to get first dibs. Nearby, D & L's Rustic Treasures (2910 N. Monroe) is a hotspot if the shabby chic, rusty farmhouse style is your jam. Finish off your hunt at Paint in My Hair (3036 N. Monroe), which features a mix of new and repurposed inventory from its many vendors, along with shelves of the popular furniture chalk paint brand Annie Sloan. Another pocket to scope out in Spokane is the Hillyard Business District along north Market. While there are many longtime and more recently opened antique stores along this stretch, my top two personal picks are Chic & Shab Vintage Boutique (4801 N. Market) and Market Street Antiques (4912 N. Market), the latter of which is packed to the brim on two floors with vendor spaces displaying treasures from every era. The shop is also, notably, home to three store cats! In North Idaho, make a point this summer to spend a day exploring Coeur d'Alene's Midtown neighborhood, home to the locally renowned treasure trove called JUNK (811 N. Fourth St.). Keep heading north on Fourth to check out fellow antique/vintage goods purveyors Paris Antiques, Looking Glass Antiques, the Way Back and Forget Me Not Shop. Old timey stuff finds new life in the right hands. There's so much more to be found across the Inland Northwest when it comes to vintage and antique goodies. Beyond the three neighborhoods suggested above, take a gander at the dozens of shops listed by area in the locally published and free 2018 Vintage Directory, which can be picked up at most of its featured vendors. Find out more at facebook.com/VintageDirectoryUSA and then start planning a day on the hunt in Sandpoint, Cheney, Pullman or beyond. Seasoned junkers and vintage lovers already hit up the region's biggest kickoff to summer hunting at the Farm Chicks Show earlier in June, and another worthy, large-scale summer market is fast approaching. The Rebel Junk Vintage Market hosts several events throughout the year around the country, and the next up locally is Rebel Junk Market Idaho, in Coeur d'Alene on July 6-7 at the Kootenai County Fairgrounds. The two-day event features dozens of curated vendors offering the usual line-up of fun finds: repurposed and antique/vintage home decor, farmhouse and industrial salvage goods and more. Though it's expanded with traveling shows held across the U.S., Rebel Junk was founded and is based right here in the Inland Northwest. For tickets and details about the Coeur d'Alene show, visit rebeljunk.com. Plan a quick road trip south to Lewiston, Idaho, for the annual Pink Farmtiques Vintage Market the weekend of July 13-14. Held at the Nez Perce County Fairgrounds, the two-day juried market is a celebration of country living, quality retro pieces for the home and the shabby chic trend. Think vintage Pyrex, sparkly old costume jewelry, midcentury modern furniture, chippy painted wood, antique linens and more. Starting this year, the Pink Farmtiques market will always be held the second weekend of July, which means you can count on the annual tradition for years to come. More details are at facebook.com/pinkfarmtiques. Last year, Past Blessings Farm relocated its popular Pickin' on the Prairie vintage market to Joe Albi Stadium because the event quickly outpaced an original site at its founders' 1898 farmstead outside of Spokane. Starting this year, the show has been renamed Pickin' Spokane, since it's no longer held on the prairie it sprung from. Like a few other regional vintage markets, Pickin' Spokane also features sister shows in nearby cities: Tri-Cities, Post Falls, Boise and Nampa, Idaho. Pickin' Spokane is next, though, on the weekend of Aug. 18-19, and again celebrates being the biggest outdoor antique show in Eastern Washington and North Idaho. Find more details at pastblessingsfarm.com. I've been bit by the midcentury modern bug. Currently, I'm on the hunt for a few pretty specific pieces, which has led me to some amazing local midcentury modern (aka MCM) vendors in Spokane. I know I'm not the only one obsessing over the clean lines and quality of materials found in furniture and decor pieces made in the 1950s and '60s, so fellow MCM lovers will definitely want to add these local shops to their shopping list circuit. You've gotta check out Metro Eclectic just north of downtown and the Monroe Street Bridge (604 N. Monroe). The locally owned shop is a MCM lover's dream, filled with both vintage and some contemporary pieces in the era's classic style. We're talking Danish-made, solid teak pieces galore: lounge chairs, lamps, headboards, bedroom sets, dining tables and more. 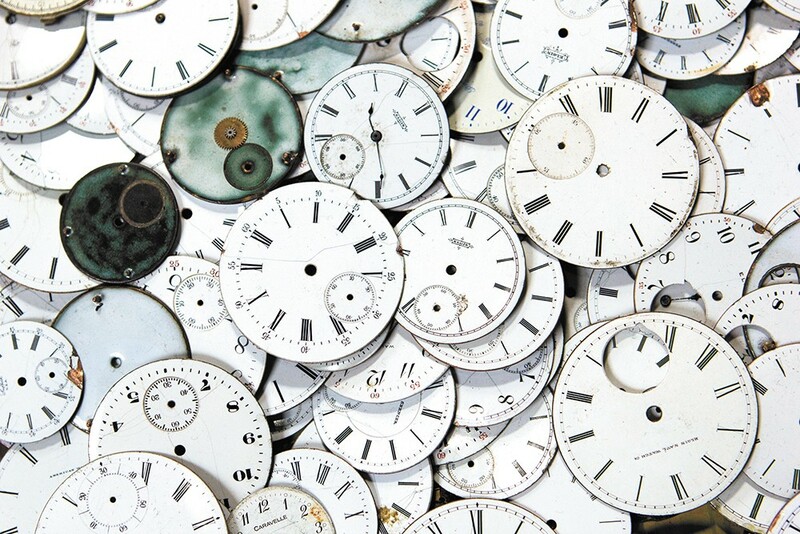 The showroom has limited hours (Wed-Sat from noon-5 pm), however, so plan ahead before stopping by. The original print version of this article was headlined "Thrifting | Summer Guide 2018"